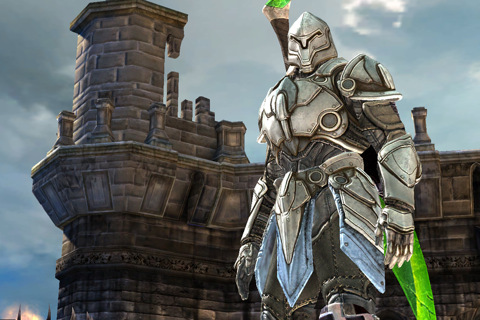 Infinity Blade, one of the most epic games (no pun intended) on the iPhone (read our review here) has been updated with a new content pack, and a 50% off sale. Yes, for $2.99 you can now own the iOS game with the best graphics ever, and one of the fastest grossing apps of all time. – ChAIR loves you, so we are giving you EVEN MORE awesome content in the ultimate update – for free! – More than 10 new Enemies to defeat – the Wood Jester, the Iron Guard, the Plated Sorok, the Warden, and more! – Finish the game and then continue to build your character with NewGame+! Re-master any item! Unlock new items in the store! How high can you climb? – More than 30 all-new magic rings, swords, shields, helmets, and armor! Collect and Master them all! – Multiple Character slots, new Achievements, more Leaderboards, dodge button size slider, and audio volume controls! This new update should breathe some new life into this game. The graphics are simply stunning on the iPhone 4’s Retina Display. This is an awesome deal for just $2.99. Click here to download Infinity Blade. Are you still playing this game?